When you stay at B&B La Residenza Del Poeta in Ancona, you'll be close to Luigi Paolucci Museum. This bed & breakfast is within the vicinity of Grotte di Camerano and Caves of Osimo. Perfect for a peaceful getaway, this 4-star hotel overlooks the sea and is within walking distance of Ancona’s cathedral and shops. 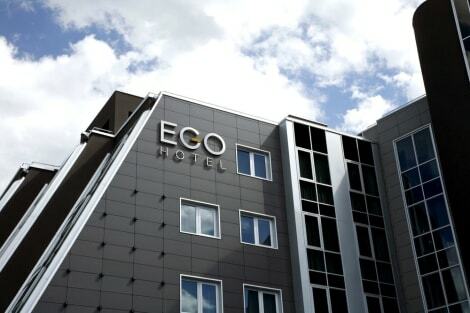 The hotel offers free wi-fi access and parking, and there is a bar and restaurant on-site. Rooms have TVs with satellite channels, air conditioning, safes, minibars and private bathrooms. Right opposite Ancona Train Station, Hotel Dorico features simply furnished rooms with free Wi-Fi and a flat-screen TV. Ancona city centre is 2 km away. Each room comes with a fan and a private bathroom complete with a shower and free toiletries. 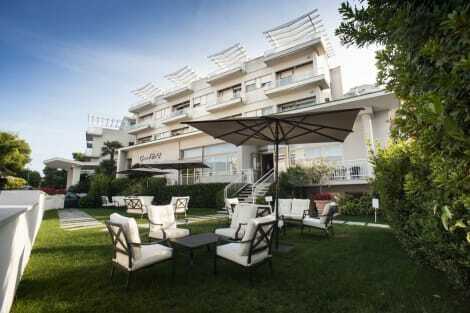 Located right next to free public parking spaces, the Dorico Hotel is 12 km from Ancona Falconara Airport. Satisfy your appetite for lunch or dinner at Ristorante Buono Buono, a restaurant which specializes in regional cuisine, or stay in and take advantage of the room service (during limited hours). Quench your thirst with your favorite drink at the bar/lounge. Make yourself at home in one of the 89 air-conditioned rooms featuring minibars and flat-screen televisions. Complimentary wireless Internet access is available to keep you connected. Private bathrooms have deep soaking bathtubs and complimentary toiletries. Conveniences include phones, as well as safes and desks. Good position for all transports links. 09/10 R.O. With a stay at SeePort Hotel, you'll be centrally located in Ancona, just a 5-minute walk from Teatro delle Muse and 6 minutes by foot from Loggia dei Mercanti. This 4-star hotel is 13.2 mi (21.3 km) from Mount Conero and 0.3 mi (0.5 km) from Chiesa di Santa Maria della Piazza. Make yourself at home in one of the 77 air-conditioned rooms featuring minibars and LCD televisions. Complimentary wireless Internet access keeps you connected, and cable programming is available for your entertainment. Bathrooms have complimentary toiletries and hair dryers. Conveniences include safes and desks, and housekeeping is provided daily. lastminute.com has a fantastic range of hotels in Ancona, with everything from cheap hotels to luxurious five star accommodation available. We like to live up to our last minute name so remember you can book any one of our excellent Ancona hotels up until midnight and stay the same night.